When Donald Trump and Hillary Clinton met onstage at Hofstra University on Monday night for the first presidential debate, one thing was immediately clear: despite Trump's criticism, Clinton was prepared for the debate, and she arrived ready to rumble. 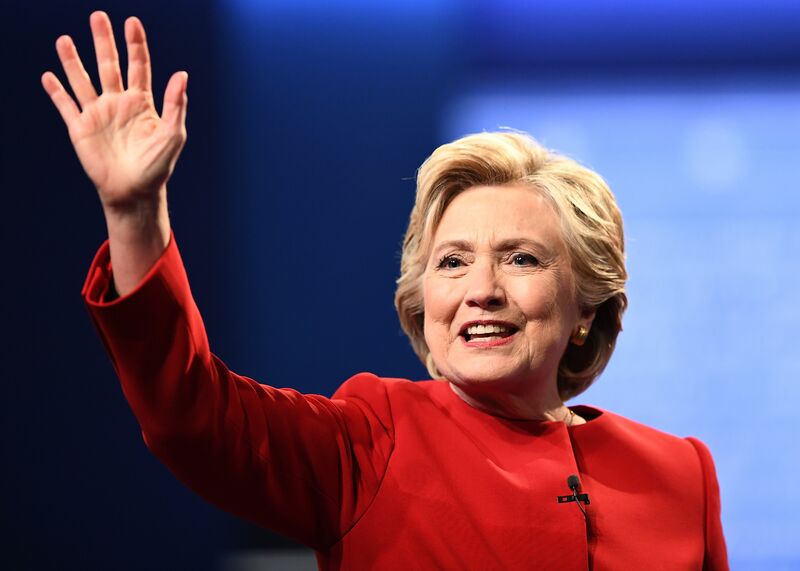 While Trump played defense for much of the night, Clinton hit the ground running with coherent, researched questions, easily facts, figures, and even fact-checking Trump in real time. It's solid proof that Clinton is ready to be president, because she's used to doing the prep work —and Trump isn't. Her comment underscores the key differences between the two candidates. One has spent decades of her life in the political sphere, learning from those more experienced than her, asking the right questions, and compounding on knowledge, and the other has not. This difference has marked the entire 2016 campaign — while Clinton reportedly holed up with her team to practice for the debate, study the issues, and run drills, Trump's campaign made light of it. Trump sounds like a high school bully, making fun of the best student in the class for her commitment and diligence. Clinton has a reputation for this kind of methodical preparation. Those who served in the cabinet with her have shared stories of the 12-page, researched memos she would regularly write while working for the Obama administration. Others report how her problem solving methods involve asking multiple questions. Trump, however, didn't even stop to research debate moderator Lester Holt's political party (he's a Republican) before accusing him of being a biased Democrat. Inexplicably, these differences have helped fuel Trump's popularity. His inexperience is seen as being "fresh" and untainted by Washington politics, and his off the cuff, unsubstantiated remarks appear "genuine" to fans. In comparison, Clinton's exhaustively researched responses can seem mechanical and packaged, and in the strangest twist ever, that knowledge is used as a weapon against her. But Monday's debate, which was so important to the two candidates, showed how much preparation mattered. Like the crucial study skills we learn in high school that help us succeed in college, debate prep is a dry run for the presidency. Being president isn't about having nice soundbites or firing off ridiculous Tweets — it's sitting through endless briefings and reading reports. It's beefing up your knowledge as quickly as possible and yielding to the experts in order to make a informed, well thought out decision. Although a strong demeanor is key to being a great commander-in-chief, being a president requires a large amount of cerebral studiousness. That's Clinton's strong point. She does the research. She buckles down, she prepares, and she overachieves. She analyzes the challenges ahead of her, and works hard to combat them. For Trump to mock that highlights how utterly unaware he is of the challenges that await the president — and shows just how unprepared he truly is.